Xcode Life is a biotechnology company founded back in 2010 and headquartered in Chennai, the capital of the Indian state of Tamil Nadu. 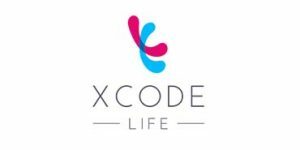 Xcode Life specializes in bioinformatics, genetics, personalized genomics, preventive health, nutritional genomics, fitness genetics, nutrigenomics, and nutrigenetics. The main goal of the company is to empower physicians, wellness professionals, and individuals with precise and actionable genomic data, which can positively impact and improve their health and quality of life. Read our comprehensive Xcode Life review to learn more about the company and its services. Xcode Life doesn’t feature any proprietary DNA testing options. In order to obtain one of its reports, you’ll have to upload your raw genetic data generated by another provider. 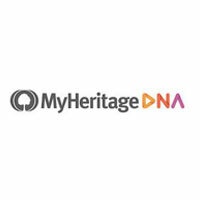 The company currently supports raw DNA data files produced by 23andMe (v2, v3, v4, v5), African Ancestry, Atlas Biomed, Dante Labs, DNA Tribes, Family Tree DNA, Gencove, Genes for Good, Gene by Gene, Geno 2.0, Genographic Project, Invitae, Living DNA, MyHeritage, Vitagene, WeGene, and Whole Genome Sequencing. You can find reviews for most of these companies on our site. After submitting your raw DNA data, all you have to do is wait for your personal report to be generated. Xcode Life promises same day delivery. Note that you can pay via PayPal, PayPal Credit, MasterCard, Visa, Discover, and American Express. You are in no way obligated to pick one of these tests. However, if you do, you will also receive an Xcode Health report absolutely free of charge. This option incorporates 7 different reports, including Gene Nutrition, Gene Fitness, Gene Health, Gene Allergy, Precision Medicine, Gene Skin, and MTHFR. 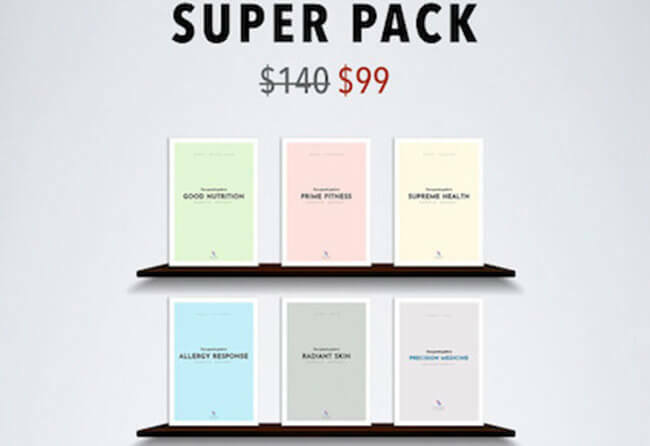 The Best Seller Pack includes Gene Nutrition, Gene Fitness, Gene Health, Gene Allergy, and Gene Skin. This report includes more than 33 different categories, such as tendency to overeat, vitamin A requirements, phosphate requirement, vitamin B12 requirement, selenium requirement, tendency to consume fats, vitamin B6 requirements, zinc requirements, tendency to consume sweet foods, vitamin B9 requirements, antioxidant needs, tendency to prefer bitter foods, vitamin C, caffeine metabolism, carbohydrate intake and weight gain tendency, vitamin D requirements, alcohol metabolism, fiber intake and weight loss tendency, vitamin D requirements, gluten sensitivity, saturated fat intake, vitamin K requirements, lactose intolerance, MUFA intake and weight gain tendency, calcium requirements, vitamin B2 requirements, PUFA intake and weight gain tendency, choline deficiency, alcohol flush reaction, protein intake and weight loss tendency, copper requirements, salt sensitivity, tendency to regain weight, iron requirements, and magnesium requirements. This report gives you information on more than 45 different genetic diseases and conditions ranging from type II diabetes and vitiligo to Alzheimer’s and Parkinson’s disease. Gene Fitness covers more than 15 different categories, including endurance, aerobic and heart capacity, power, hand grip strength, flexibility, tendon strength, ligament strength, lung capacity, exercise motivation, likelihood of injury, exercise recovery, insulin sensitivity with exercise, likelihood of fatigue, HDL cholesterol level with exercise, and weight loss or weight gain with exercise. This report covers 12+ categories, including cockroach allergy, hay fever, milk allergy, dust mite allergy, lactose intolerance, pollen allergy, animal dander, grass allergy, contact dermatitis, tree nut allergy, histamine intolerance, photic sneeze, misophonia, and motion sickness. This option provides you with 20+ skin-related categories, including glycation protection, sunspots, vitamin B2 deficiency, atopic dermatitis, vitamin B12 deficiency, tanning, contact dermatitis, vitamin B6 deficiency, wrinkles, psoriasis, vitamin C deficiency, UV rays protection, rosacea, vitamin D deficiency, cellulite, dry skin, vitamin D deficiency, stretch marks, vitamin B9 deficiency, antioxidant requirements, varicose veins, vitamin A deficiency, freckles, vitamin K deficiency, and acne. The covered categories include FDA approved BRCA gene markers, BRCA1 markers, BRCA2 markers, breast cancer risk, breast and ovarian cancer risk, breast and other cancers risk, early-onset breast cancer risk, hormone receptors in breast cancer risk, breast cancer risk in men, breast cancer prognosis, breastfeeding duration and breast cancer risk, breast size and breast cancer risk, hormone precursor levels and breast cancer risk, menopausal therapy and breast cancer risk. The report also covers more than 75 cancer-related drugs and your individual response to them. With this report, you can discover your carrier status regarding more than 550 different genetic diseases and conditions. This report checks the status of SNP variants for 15+ genes associated with the methylation pathway. 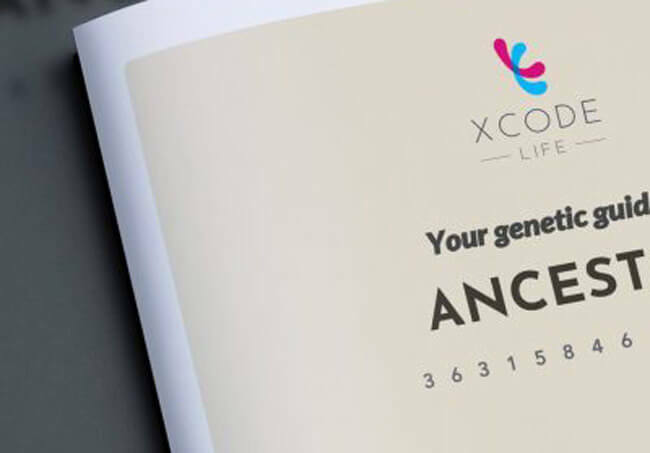 Xcode Life can also provide you with some information regarding your genetic ancestry. The report covers your global ancestry composition, maternal/paternal haplogroups, Ancestry Wheel, and potential South Asian ancestry composition, which includes Ancestral North Indians, Ancestral South Indians, Ancestral Austro Asiatics, and Ancestral Tibeto Burmans. This option includes all individual reports. As its title says, this option allows you to simplify your version of the Promethease report and obtain valuable information regarding your health. Registration information – Your name, country, ZIP Code, email address, and payment info. Optional self-reported information – Your family history, ethnicity, and similar information you choose to share with the company. User content – Raw DNA data and other data files, reviews, testimonials, and comments uploaded to the official Xcode Life website. Social media features – If you choose to use Xcode Life’s social media sharing buttons (Facebook, Twitter, and Pinterest), these features may collect your IP address and page visits. Referral information – Xcode Life has an active referral program and will use the email addresses of your referees. Gifts – The company will also collect personal info shared with the company while gifting Xcode Life products or accepting them as gifts. Information related to genetic testing services – This refers to your raw genetic data files. Web tracking information – This includes cookies used to enhance user experience, collect demographic information, provide security, and monitor marketing programs. Google Analytics – The company will utilize the User-ID feature offered by Google Analytics in order to track your behavior across different devices and sessions. However, this info will not be merged which your personal information. You can choose to opt out of Google Analytics Advertising through your Google Ad Settings. Xcode Life will use your personal information to provide you with the requested services. You can delete your raw DNA files from its database at any given moment by sending an email request to info@xcode.in. Additionally, the company will also disclose your data if requested to do so by law. 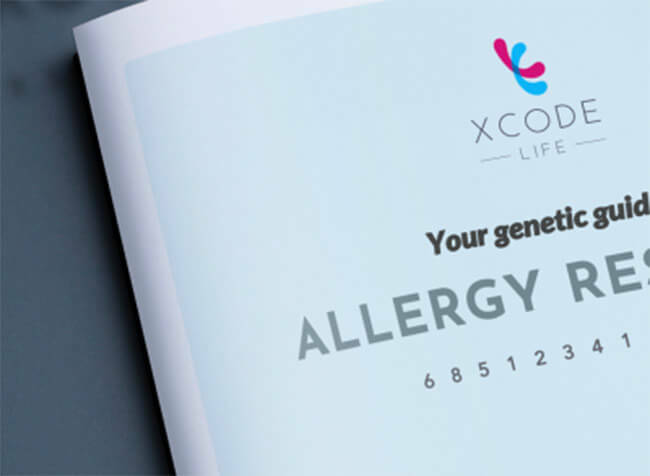 Since Xcode Life doesn’t offer any at-home DNA testing solutions, you will have to check your chosen provider’s shipping and handling policy. The tests featured on the official website are sold on Amazon, so Amazon’s shipping & handling rules will apply. Xcode Life is an interesting endeavor that allows you to build upon your DNA reports obtained from other reputable companies. Its budget-friendly pricing policy is the first thing that catches one’s eye, especially when paired with pretty impressive report options. If you’re looking to upgrade your existing DNA testing results and don’t want to spend a ton of money on it, Xcode Life will provide you with an abundance of additional information at a more than reasonable price. Our ratings are the result of an objective and independent evaluation of Xcode Life, generating the final rating that reflects the overall quality of the company. Ratings may change as the service changes. Xcode Life user rating based on 31 user reviews. Such easy reports to read and understand! Cheap for so much information as well! Uploaded my raw data and it was super easy. After 4 hours I got my results and were super simple to save the data. Thank you for the options! I am delighted with the report I received. It gives terrific guidance in terms of nutrition and exercise and also warnings about some potential pitfalls in my genetic make-up. Well worth the money. Very expedient service. Had my results in less than 24 hours. Reports were comprehensive and informative! I did all reports, uploading my raw data from ancestry. The reports were really in depth and thorough, I was surprised at how much information was there. I really liked the feedback and suggestions that accompanied the reports, actually giving a direction instead of just random trivia facts about my DNA. I particularly found the nutrition report useful, it gave practical suggestions of types of nutritional plans that may work best for me. Using Xcode Life to get deeper assessment of my DNA test was so helpful and eye opening! I got the mega pack of reports and cannot be more pleased. There is so much information that is useful to me and my children: Fitness, personality, disease risk, medication reactions, nutrition guidance... Most importantly, I can tell my children about their possible risk. Like I carry several pathogenic variants for prostate cancer....doesn’t affect me but could affect my three sons. Excellent reports that everyone should have! Awesome test. Easy to understand, Tons of information that's easy to read and placed in categories. I've done 4 different tests and this is head above all the others. Reports are so easy to use and understand. They contain so much information and I feel so equipped to keep myself healthy because of them. Provided valuable insights into my ancestry as well as physical conditions. I have misophonia, which was flagged in my results. Turns out both my sister and son have it, too! Got the larger package to get all of the tests since it was on special. Easy to set up my account and upload my raw data. Got the results back within 24 hours. Some interesting tidbits and some confirmations. A fantastic way of discovering more information about the messages encoded on your DNA. The reports about your health and fitness are generated very quickly and you can access information which can change the ways you live your life. It is scientifically proven and the results will give you a better understanding of you as an individual. Great value for money! I bought the Mega plan so that I would have all of the reports. It was a great value for the amount of information. It was helpful to read about dietary issues, see recommendations about medications I take, and learn about diseases to which I am susceptible. I plan to share information with my healthcare providers. I also had very positive interactions with customer service. Very easy to use interface, prices are reasonable and reports were quick and accurate. I was fascinated. I bought the Megapack and Xcode not only helped me identify allergies and potential health problems, but gave me a list of what medication may or may not work best. Their customer service is excellent. I had a problem and received a promo response! I got the mega package and I loved reading all the results and they do compare well with what is going on medically. I was also really surprised to see how accurate the personality test was! Definitely worth it! Easy to upload and download. Quick results. Interesting information. Peggy Nuckols loves Xcode. I feel I completely wasted my money here! I ordered the Mega package and it was received within just a few hours. The information provided is so vague, it tells you nothing. For example, you get something saying: Gene markers analyzed: 309 - Gene markers present in your genome data: 1 which basically means that the other 308 markers were not analyzed because the company I used for my DNA (Ancestry) did not include these. Well, then why even analyze Ancestry raw data??? Had you told me that, I would have NEVER ordered. Also, when I received my results, I also received the results of someone else! Yep....that's right. I have the genetic information from another person that submitted their data. So my question is, who else has mine? Stay away from this. I got a lot more information from Promethease and that was a lot less expensive! I had many reasons to have my DNA tested, and while Ancestry gave me *some* information, as an adoptee, I had so many more questions. Xcode helped fill those gaps and dissipate the feeling of having no genetic grounding in life. I definitely feel like I got my money's worth! I researched many different options for what to do with my raw DNA file and Xcode seemed like the best value for money considering the amount of information and scope of the reports. The reports give recommendations on how to incorporate your results into your daily life, which made them more practical beyond the initial novelty factor. After receiving my reports I ordered some for my wife and both times the results were sent to us within 12 hours. Purchased four dna reports through Xcode in November and not one of them is fully complete. We have spent months contacting them and only had one response at the beginning, and have been ignored since. Save yourself the headache and avoid this company. I purchased a DNA result from XCODE over a week ago. They state that the results are available within 24 hours. I have not received any results. I have reached out to the company providing my invoice ID, no response from the company. The user account created during the purchase process does not exist either. I would give 0 rating for a company that does not do anything to let a customer know what happened to the money they put in a black hole. Xcode def doesn't waste your time. I got my gene allergy report the very same day and it really put some things into perspective. Great service and very affordable prices. We found 0 verified Xcode Life discounts for April, 2019. There are no Xcode Life coupons or discounts right now.